It was interesting to watch this video about ‘Cognitive Surplus‘. What people do when they have too much free time. And how the Internet is a vent for the creativeness that everyone possesses. 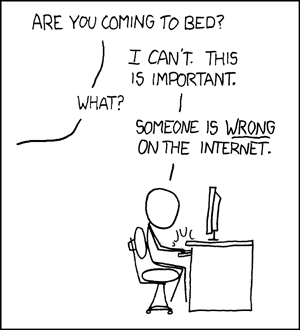 On the other hand this cartoon conveys the problem encountered when there is a clash of creativeness on the Internet. This entry was posted in Comics, Tech and tagged cartoon, contribution, free time, Internet. Bookmark the permalink.